For the past few months a small group of contributors inside and outside of Mozilla have been working on webcompat.com. We just recently celebrated moving past the “too broken to share” milestone to the “functional-under-construction.gif” milestone of the project and are eager to share what we’ve been up to. There’s a more elaborate description of web compatibility and the site over at http://webcompat.com/about, but the basic premise of this project is: what if you could “file a bug on the internet” in a public space where developers, users and browser vendors could be made aware of compatibility issues? You can report issues to browser vendors today, through bug trackers or other feedback mechanisms, some public and some not. But frequently you cannot see the results of such a report—or see what related issues others have reported. It can feel like a black hole experience. This is where webcompat.com comes in. We want to provide a simple, open interface to web compatibility issues that affect us all as users of the web, regardless of our browsers or devices of choice. Perhaps more importantly, we hope to foster and enable a community of people who are passionate about a web for everyone to help out. So is this a Mozilla-only effort? Not at all. Mozilla kindly allows me to work on this project as a part of my full-time responsibilities on the Mozilla Mobile Web Compatibility team—but the project’s goal has always been to create an open resource for all people who use and build things on the internet. We’ve had some positive conversations with some of our browser vendor colleagues that have motivated us to start initial plans around future collaborations. It’s clear to us that Mozilla isn’t the only entity invested in a compatible web. OK Neat. What can I do? There’s actually quite a bit to do if this type of work is interesting to you. Do you happen to notice sites that block you, nag you to install a different browser, or are just plain broken or buggy? Instead of just tweeting sad emoticons or #fail hashtags, you can help make a difference by creating a record of these issues with the form at webcompat.com. 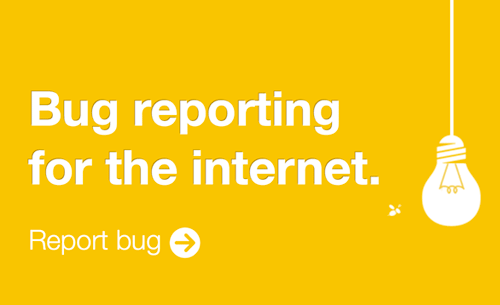 We’ve also created some browser extensions to make reporting easier—just click the added UI button to open a new tab with some bug report info pre-filled for you. You can grab that for Firefox Desktop, Firefox for Android, Chrome, Opera, and Safari. There’s also a bookmarklet you can install in your bookmark or favorites bar. These are all open source, so feel free to hack away and port them to new platforms. Do you have a knack for figuring out why things are broken and want to hone your internet CSI skills? Have you considered getting a “TypeError: ‘undefined’ is not a function” tattoo? Do you love reading minified code and debugging the entire web stack? We could use your help confirming and diagnosing issues (tattoos not required). Are you more interested in doing outreach and making sites and developers aware of issues? We need your help too. Stay tuned for better tooling around this role—or hop into the #webcompat irc channel on the Mozilla IRC network and say hi. Right now two of our biggest priorities are being able to view and interact with issues in the site itself, and creating tools that will enable importing existing web compatibility issues from bug trackers (both open and closed) and exporting compatibility issues on webcompat.com to browser vendors (when the bug lies with the browser, not the site). Our project is still in its infancy, but we look forward to your compatibility bug reports and comments! Mike works as a Web Compatibility Engineer for Mozilla from his home in Austin, TX. still getting an error 500 from the auth exchange w/ github login. Would you mind filing a bug at https://github.com/webcompat/webcompat.com/issues detailing the steps that got you to the 500? (e.g., was it from reporting an issue, or trying to use the “Login” link). Thanks! That yellow header is way too bright. I suggest to ‘scan’ somewhat what browser extensions was active when bug will be reported. I don’t know how to do this via bookmarklet but for me it seems that ad blockers or tracker blocker extensions causes errors on web sites more often than browsers rendering engine do.